This is copy. Best thing I've heard in a while. Pumped that June got a pick. Always an honor to be picked from a site with such plethora of great content! Stoked to get back on a moto piece for Ride Icon. Time to tear into some sound design! Nice perspective on musicians sampling music. Just a sprinkle of design for this one but I'm happy with how it turned out. Great track from Charlie Parr. Excited to find out Legends of the Isles will be playing at the 5Point Festival. Wish I could make it out. Looks to be pretty awesome. Check out their amazing vid promoting the fest. 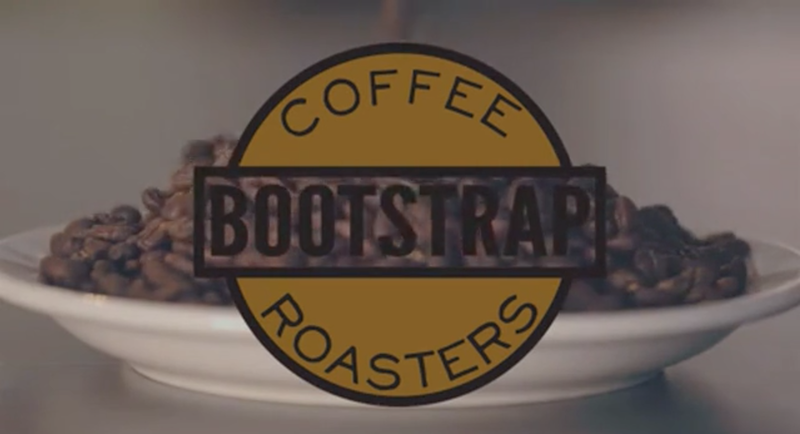 Was delighted to score this short video for Micah, owner of Bootstrap Coffee Roasters. Hope you enjoy! Learned some great stuff today from Charles. Tempo mapping for design, work with granulizing, limiting, and other plugs. Love the bit about Intensity curves and how to approach trailers. Check these guys out. Best of the best. Absolutely loved the presentation from Nicky Birch @birchos of Something' Else. They focus on audio only video games utilizing binaural approaches to audio design. One may seem skeptical that an audio only game wouldn't be stimulating enough or it would feel like it was missing something (picture? haha.) Quite the contrary. I like the idea of letting the listener "fill in the blanks" and form their own worlds. Granted the audio needs to fill that void a bit but I think people will be able to pick up on this concept of "audio only" quicker than they think. I look forward to playing all their games and learning the techniques and approaches evolved in making audio only games. Recently released audio only game developed by Somthin' Else. Cape Status at GDC 20214! Just about to start the first class on audio for games at GDC. Excited to be in the classroom environment again! Sonically perfect. Great use of the entire frequency range. Always go back to house music for that full frequency sound! This album is fantastic. I hold an album to its weakest song. This one stands up. More love for Legends on The Wallbreakers site! Great teaser, great sound design. More specifically the tonal distorted long decay hits. Probably one of my favorites sounds right now. Hope they incorporate that into the actual movie somehow. Legends gets some love from The Atlantic! Finished! Very happy with how this one turned out. Looking forward to this one. Seems to focus on Human Intuitions and Instincts. I'm not looking for a message movie but I'd like for skeptics of space travel to buck up and give this one a chance and to possibly consider that its more than just flying around up there. haha. When I found out about the project I was instantly inspired about the subject matter. I knew there would be plenty of great sounds. PRODUCTION - I wanted a nice wide stereo image for the demo derby. Thankfully, we were able to get down on the track so I was able to get very close to the cars. It was very very loud (probably averaged 150db SPL) Thankfully my headphones acted as earplugs as well! I've been experiencing with recording SFX in stereo. Big huge loud engines in stereo! Just awesome. The only tricky thing is keeping your sound source on axis. You want the stereo image to be balanced in your left and your right ear. I always make sure of that since its a fixed image. There's no changing it in post! I used an ORTF stereo mic which worked well. Ideally, I think, an M/S stereo mic would be the best option in this case. POST - Entering post, I had a great library of stereo and mono SFX. Auditioning took awhile but I chose all the great engine moments. I quickly noticed alot of the engines washed together which created a less than desirable "wall" of sound. Just too much happening. My first challenge was keeping the design spacial. I started dropping in quite a few engines and the design became muddy and loud. I decided less is more and to choose the moments rather than over power the entire design with all out engines. The SFX also had to have a relationship with music. MUSIC - Dirty. Trashy. Industrial. Those are the words that inspire the score. I had a good idea on what I wanted the music to sound like. I traveled to a local store called Ax-Man. They have anything you can imagine, in bulk, usually. Even an iron lung. Someday.... I tried to find metal, tonal objects. I already had an idea on how i would used the objects so that helped. Recording the sounds was simple. Mapping to Logic's EXS24 was quick. I was rocking in no time. After the rhythm was figured out, it was progression. It took me a fair amount of time to dial in the guitar and bass tones and progressions. Mapping out the sync points and the flow of the music took a bit of time as well. THE MIX - Mixing took on a huge roll. In hind site I might have been to aggressive with the music fading in and out of the mix but I think the subject matter cut me some slack. I wanted the SFX to take over when it needed and the Music to be right behind it. Of course both needing to stay out of the way of the Dialogue. It was a very cautious mix on the subject of dialogue. I'm pretty happy with the pocket of were that lives. I could elaborate but I'm drunk and tired. Awesome project with an awesome team. Love working with these guys.